Looking for best c++ book to learn programming? 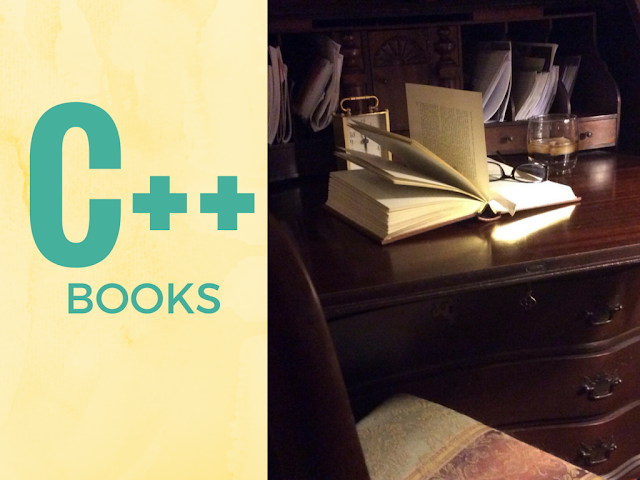 We have list of highly recommended c++ books for you to learn from scratch. Developed by Bjarne Stroustrup, a Danish Scientist in 1980s, this is one of the most popular computer programming languages anywhere in the world. Originally developed in Bell Labs, this language was christened as “C with Classes”. The main idea behind the development of C++ language was the creation of the best version of C language. The innovative features of this language include operator overloading and class orientation. With increasing popularity of this language, there are many books in the market that offer information regarding this language. Some of the best c++ books are as follows. A popular language, C++ is used by the programmers all over the world as it enables them to express their ideas in simple and clear ways. Furthermore, they can write more efficient code that can be implemented in a faster way. As the demand for books in this language is increasing in the market, the original designer as well as implementer of this language, Bjarne Stroustrup, has written one of the best books c++ for users everywhere in the world. In this book, the writer has extended, reorganized as well as rewritten the tutorial as well as definitive references for the beginners as well as the experienced programmers. The book offers extensive information and coverage regarding various aspects of the language such as key design techniques, standard libraries as well as abstraction mechanisms, among others. Are you a beginner who wants to learn C++ language in easy steps? If the answer is yes, this is the best c++ programming book for your purpose. The writer offers comprehensive information that includes explanation of technical terms used in this language. After reading this book, the user can follow the lecture of their professor as well as read other tutorials and books that are written in this language. As per experts, this is the best beginner c++ book that is useful for layperson who wants to become proficient in this language and take his career to the next level. The writer also reinforces the lessons with practical problems as well as quizzes. Even if you are an experienced C++ software code writer, it's difficult to understand the latest versions of C++ and write an effective code that runs in a faster way. For such a situation, the writer has introduced the latest edition of his book series. With continuous development of C++ language, the writer of this book has updated and reorganized the material to offer extensive information on the latest versions of the language. Due to that fact, this is one of the best books c++ that guides the users, both experienced and new, about the additional features of the latest versions of the language. This book can be counted as one of the must-have books in your personal collection. If you want to have fun while learning C++ language, this is the best book c++ for that. The writer has taken an innovative approach for teaching C++ programming for novice programmers. Although this book is specifically targeted towards students who would like to make their career in game development, this book is also useful for learning C++ programming in-depth. The book makes no assumptions about the skill level of the programmer and teaches every concept as well as skills from the beginning by taking a step-by-step approach in simple and clear manner. Every chapter has a small project that needs to be the completed for reinforcing the lesson. At the end of the book, the writer gives a final big project that includes all the important lessons of the book. An introduction to C++ cannot be easier when this book is read. It is one of the most comprehensive as well as carefully crafted tutorials for the popular programming language that is widely used all over the world. This book is useful not only for the serious programming students but also offers significant information for software developers who are working in the field. The writer has updated this book and has increased its coverage to the latest versions in C++. This introduction to C++ is clear, insightful as well as instructive that offers the fundamental C++ programming concepts with short and practical examples based on real-life situations. So, you want to learn how to do C++ programming on a fast track, or you would like to write powerful as well as better C++ programs starting from today. This is the best c++ book in the market you can use for reaching your goal. This book covers every concept used by professional programmers in their work and takes a novel approach in learning. The book starts with high-level C++ data algorithms as well as structures that enable the reader to write powerful programs. It then continues by teaching complex features such as memory management. The book is also geared towards practical problem solutions rather than the theoretical issues . If you want to learn C++ language for serious programming, this is the best programming c++ book that is available in the market. The main reason is that the author of this book has invented the language. The author has revised this book to incorporate the changes as well as additions that have been done during the past few years. The book not only describes every feature of the language, but also shows how programmers can use this language for programming as well as designing software. This book is not only targeted towards the experienced programmers but also towards the novice programmers who would like to master the language. The author has offered extensive information that is invaluable for everyone who would like to learn this popular language. Although an introduction to C++language programming, this book takes a brand new approach to learning. As the author has targeted fresh as well as experienced programmers, he offers extensive information regarding each concept on a progressive basis, including the resolution of practical problems that arise during actual programming. Unlike other introduction books, this is the best book c++ that offers solid foundation for writing and maintenance of efficient, useful and correct codes. In addition to that, it offers step-by-step commands for the novice readers so that they can understand and use more complex features of this language for creation of interesting and complex software. This is one of the most comprehensive and authoritative introduction for C++ programming language. The author offers extensive information about how to use this core language as well as its standard library for writing powerful, readable as well as efficient software codes. From the outset, this book sets out to demystify the standard library of this language and offers information about its functions as well as facilities for writing software programs, without the need of mastering all aspects of the language. It offers many practical examples to clarify the function of each of the important commands. The book also highlights the best practices in this language. Learning a programming language takes a lot of time, effort and study, but for those students who want to learn C++ programming language in a short-term period, this is one of the best books. It is because the focus of this book is to offer chief features of the language in a concise manner. In addition to that, this book offers various essential tools for the resolution of everyday issues that occur in C++ programming while writing software codes. If you are an amateur who is starting with C++ programming, this is one of the must-haves in your collection. The book is targeted towards both novice as well as the programmers who have some experience. The book has it all which will allow the reader in proceeding to next level in C++ programming. These are currently the best C++ programming books that are available in the market. Picking up some of these books will definitely enable the programmers, both experienced and new, to create better and efficient software which utilizes the ubiquitous C++ programming language.